We have been busy bees here at Bellissimo HQ for some time now working on a very exciting new project which is truly going to put Bournemouth on the map when it comes to deciding on a destination for your wedding. 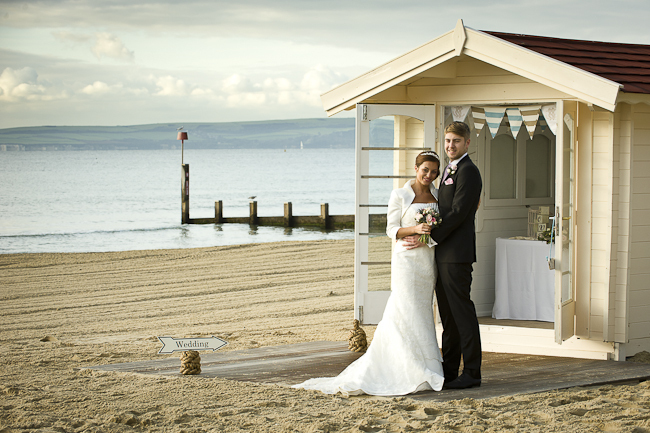 Always fancied getting married on the beach? Difficult to get away to distant shores because of finances, travel restrictions, family or friends who cannot join you on such a long and expensive journey? Well look no further as your answer is here. 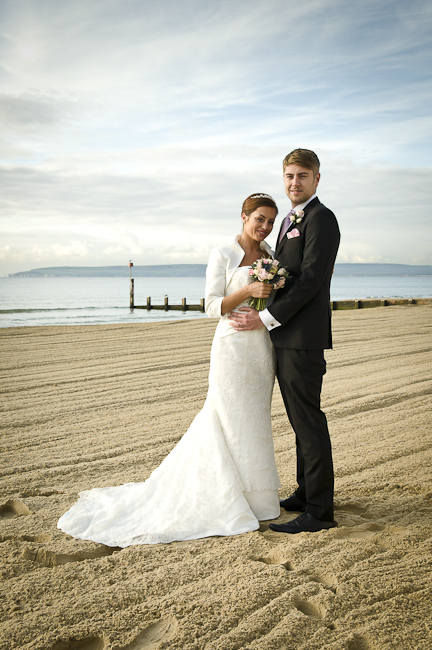 For the very first time in the UK, Bellissimo are proud to bring you Beach Weddings in the UK – on the beautiful shores of Bournemouth beach. This truly unique wedding and event venue is officially launching to the public on Saturday 29th October and taking bookings from now for the 2012 season which starts on 1st April 2012 and beyond. Bellissimo have been awarded the Operators contract by Bournemouth Borough Council for 5 years which means that our well regarded high level of service and attention to detail can now be enjoyed by couples who wish to have their wedding or civil partnership ceremony on the beach close to the crystal blue waters. This stunning venue is also open to people looking to renew their vows or hold a baby naming or welcoming ceremony. Its also possible to hold a birthday party or celebration without a formal ceremony. Our venue has so many possibilities thanks to the large space available. We have just over 800 square metres of sand which can be exclusively hired for your special event and a marquee can be erected within this space for your guests to enjoy a wedding ceremony and your reception. We have set up a brand new, dedicated website and have a Facebook page which we would love for you to ‘like’ to keep up to date with all the latest news, gossip, photos and blogs. Our official launch is on Saturday 29th October and would be delighted if you would join us to see how the The Wedding Hut and marquee will be set up for weddings between 11am and 3pm. Please come along and chat to the team. We can talk you through all of the possibilities with this unique venue and you can meet some of the suppliers who we will be working with over the coming years to bring you this stunning venue. The Wedding Hut will be dressed as it would for a ceremony. The marquee will be dressed for a part ceremony and part wedding breakfast to show you an example of what a marquee could look like. We will also have stunning coastal styling displays for you to look at courtesy of the talented ladies over at Coastal Creatives and floristry in the Wedding Hut, the marquee and the Cliff Lift courtesy of Arcade Flowers, Ringwood. Shortly before opening up the venue for the public we will be lucky enough to have a photo shoot with our models of the whole venue and for that we need to thank our models Emma-Jayne and Rob who will helping is to get some amazing shots of the set up and thanks to IanH Photography who will be available for the whole of Saturday for couples to speak to about their own Beach Wedding photography requirements. We also need to say a big thank you to Laura McKenzie from Hair by Laura for her early morning start this week and for attending to the hair styling for our preview photo shoot and to Natalie and Liam our bride and groom for making such a stunning couple for our shoot. i think beach is the best place for any of the celebration, I don’t know whether its just a case with me but beaches present best natural joyful atmosphere for any type of mood even without any of the decoration.